Hi my name is Kryss and I’m 53 years young. I’ve been a driving instructor since 2005. I did my training and worked for a large national driving school for over 5 years, before joining udrive. I joined fast expanding udrive, because of their excellent reputation and the way they look after pupils, is second to none. I have always enjoyed driving and have over 35 years of experience, to pass on to any potential pupils wish to learn a skill for life. So if your looking to have lesson with a safe, patient and calm instructor, look no further and give me a call. 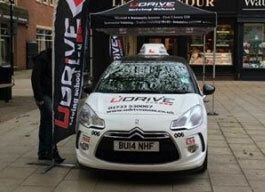 I also teach pass plus, to anyone who wishes more driving experience and lower their insurance premiums.